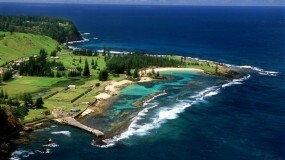 Travelling to beautiful Norfolk Island in the South Pacific? 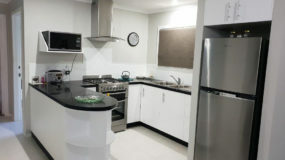 Then look no further than Aataren Villas (formerly Colony Lodge Apartments). Offering 1, 2 and 3 bedroom villas we have you covered for your Norfolk accommodation. Set in beautiful surrounds and recently refurbished, this is your home away from home. 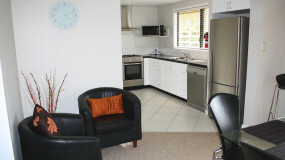 Close to main street and all amenities, your stay on Norfolk begins here in our fully self contained apartments. Come in, relax in our home and enjoy all that Norfolk Island has to offer. Enjoy our two bedroom villa with private patio and BBQ facilities. Featuring two large bedrooms with a wheelchair accessible bathroom. 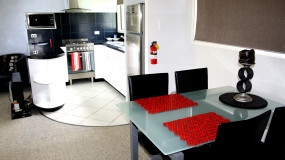 Make yourself at home in our beautiful three bedroom home. Features three queen sized bedrooms, each with private bathrooms. WINTER 2019 SPECIAL – Book now and SAVE 15% off our standard rates this winter. PLUS book direct and receive a FREE bottle of wine. Norfolk Island’s central premium accommodation. Located on Queen Elizabeth Road, just opposite Hilli Restaurant, we are just a short few minute drive from the main town on Taylors Road. Close to all amenities and services we are ideally situated.